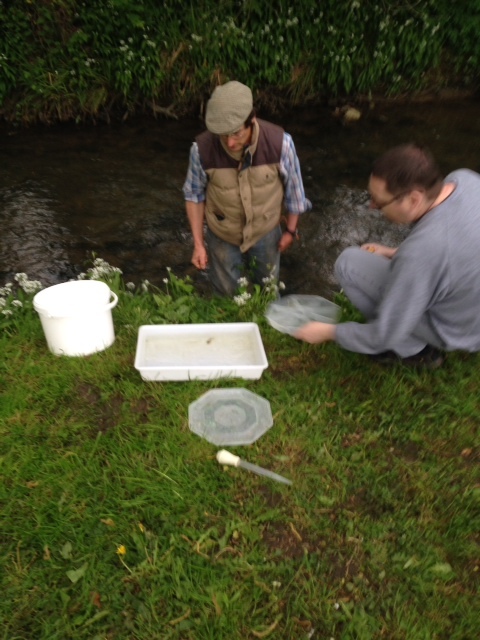 In conjunction with the Riverfly Partnership, CATCH now undertakes regular monitoring of the health of the River Cale by a method known as ‘Kick Sampling’. Kick Sampling is a process to measure the health of a river course. At CATCH we like to think of the Entomology as the Canaries of the river as miners would have used in the mines. In short, if the entomology begins to suffer this points to an issue with water quality. The beauty of the Riverfly Kick Sampling process is that members of the public can participate with minimal training – Come and get involved! On these pages, we will publish the results of our kick samples, in a format which will make sense to the general public. Each species of insect that is monitored, is represented by a category – A, B, C, D – depending upon how many of that insect was found. An overall “site score” is then calculated and compared against the trigger level set by the Environment Agency. If the site score drops to, or below, this level (confirmed by a second sample outcome) then we alert the Riverfly Partnership to investigate what has caused the loss of invertebrate life. The site score may vary considerably depending on normal seasonal factors, so a drop in the site score does not automatically mean there has been a pollution incident; once we have a series of results covering a full year or more, we will have a better idea of which changes are usual and which ones are a cause for concern. The dates for our kick sampling tests are usually arranged about a week in advance, and will be published. Anyone is welcome to come along, although be advised that the second site under the A303 bridge involves walking through undergrowth and over a few stiles. The site at Wincanton Beach is much more accessible for the casual observer.